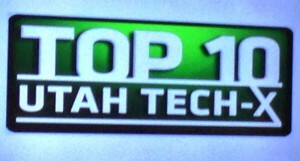 Progressive Power Solutions was just named the #1 company among the Utah Tech-X Top Ten winners for 2013. The company this year doubled its revenue year over year and expanded its staff to 12. Progressive Power Solutions projects further job growth as demand for commercial and residential solar systems continues to heat up. Collectively, the top ten companies this year increased revenues by 41 percent, employ 160 people, and added 39 new Jobs with combined revenues of over $18,000,000. Tech-X (www.utahtechx.com) is a Revenue Accelerator which provides participating companies with 12 weeks of one-on-on mentoring from local sales and marketing experts. The program includes proven methodologies and cutting-edge tools for rapid, substantial, and sustainable revenue results helping companies address their three biggest problems: Generating More Leads, Closing More Business, and Keeping More Customers. More than 60 companies have already participated in the program and more than half report double-digit sales growth.